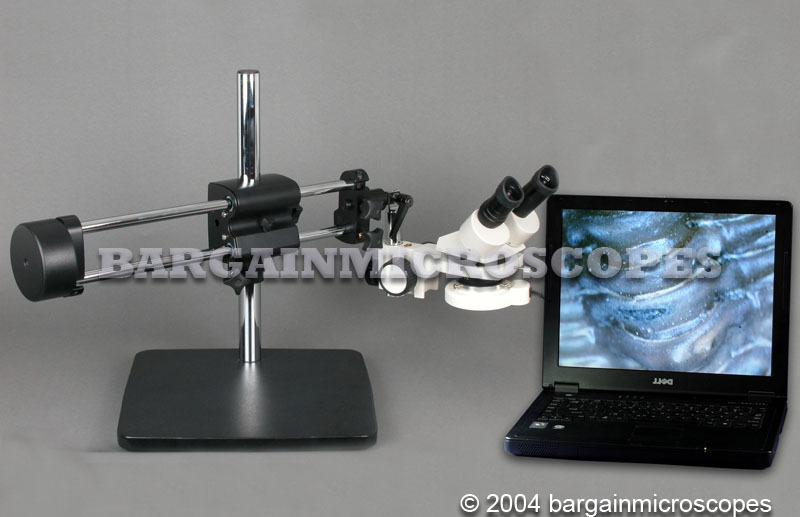 Stereo Binocular Microscope Mounted on Boom Stand! 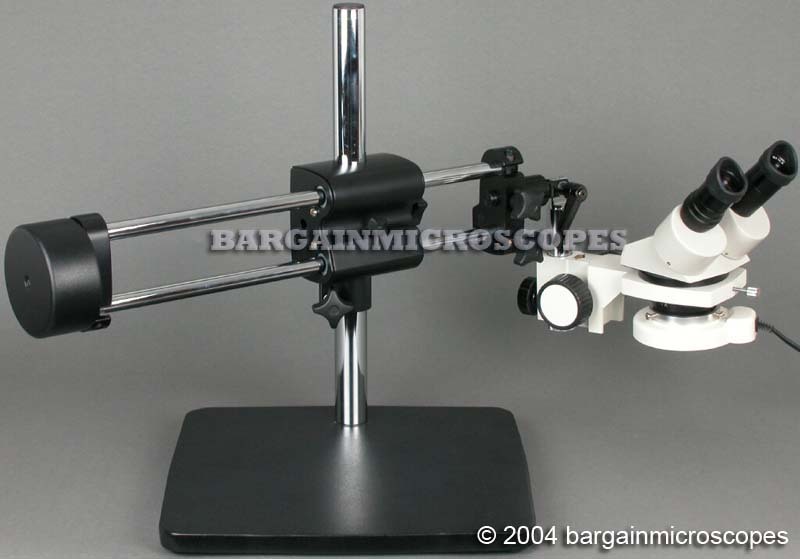 Ideal for doing Circuit Board Work, Soldering, Examination of large specimens, and Engraving. Great for any job doing tiny intricate work. Also fine for simple inspection. 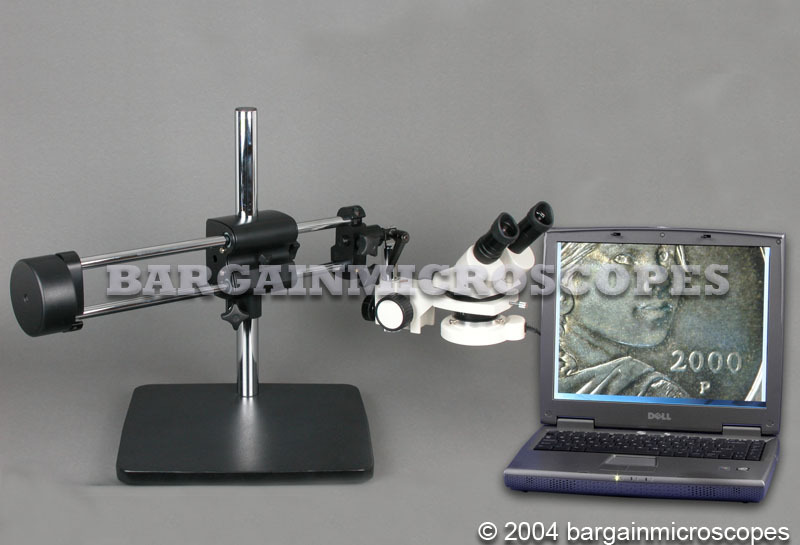 Great Quality Imaging at a Super Low Price! 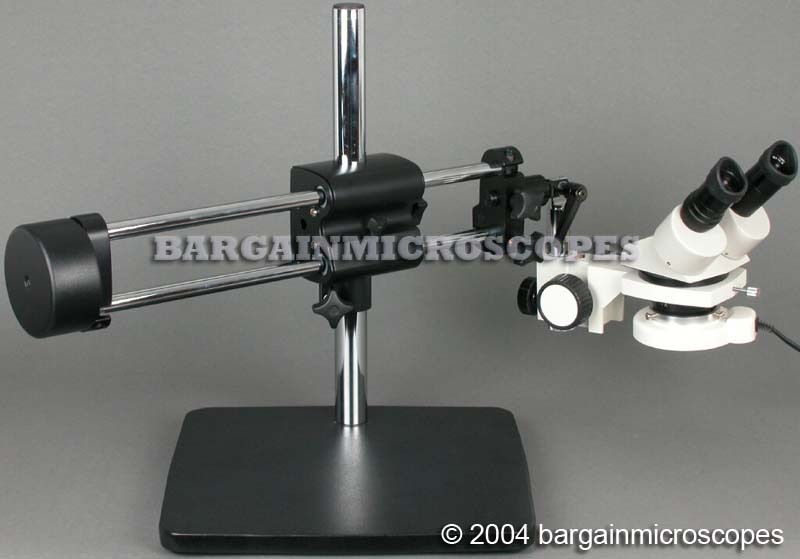 Heavy counterweighted microscope stand for extra stability of stereo microscope. 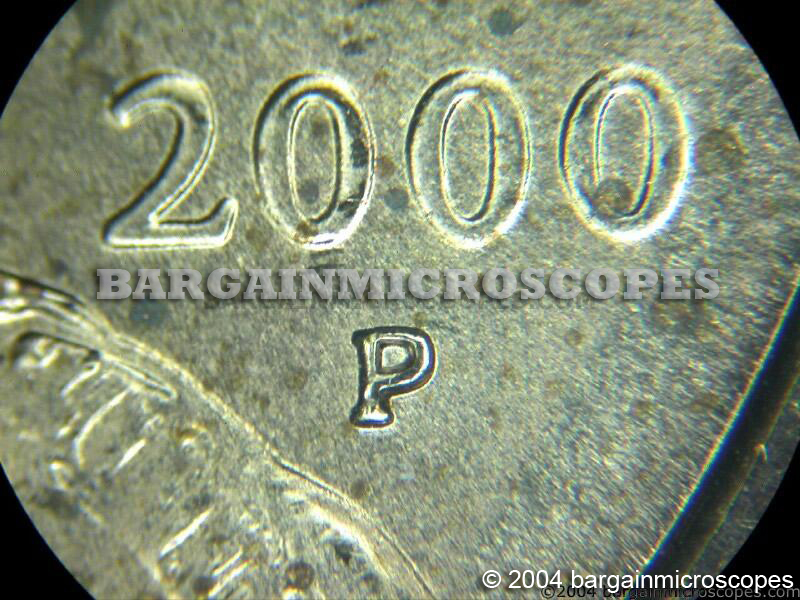 Images captured using this microscope. 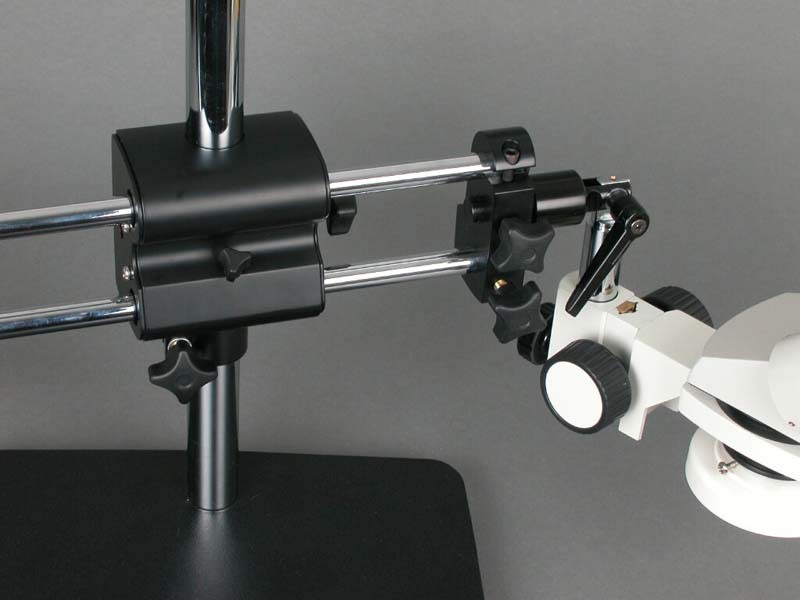 Boom Stand for Maximum Versatility and Working Area! This Classic Design of Boom is Economical, Simple, and Effective. Boom can Easily be Raised, Lowered, and Turned. Boom Arm can Swing Towards Working Area, then Swing Out of the Way to Save Valuable Working Space! 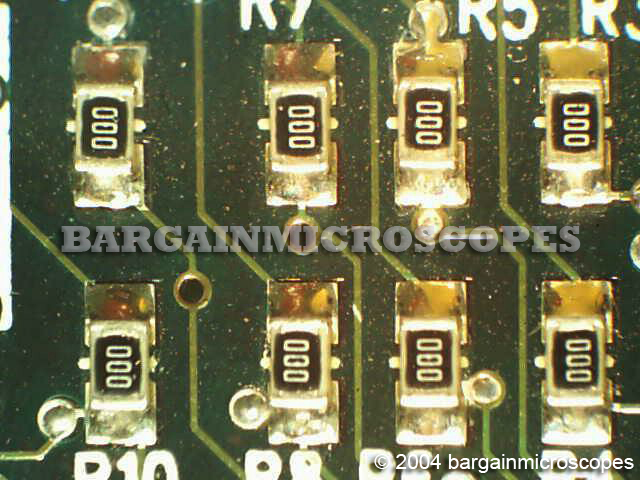 Fixed Magnification: 5x, 10x, 15x, 30x! 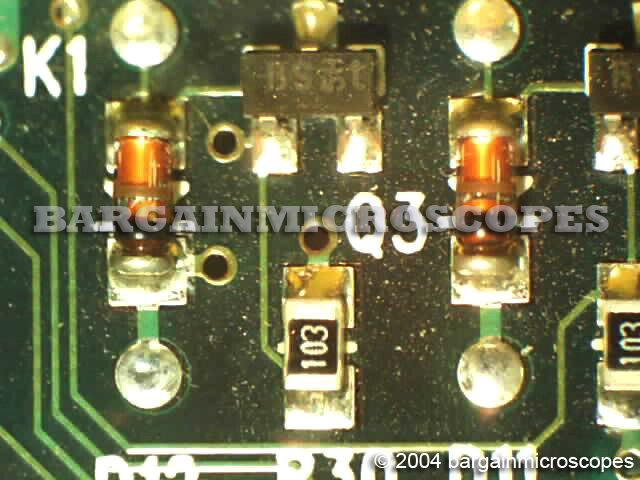 (5x/15x w/ Included Bottom Lens on, 10x/30x w/o Bottom Lens on). 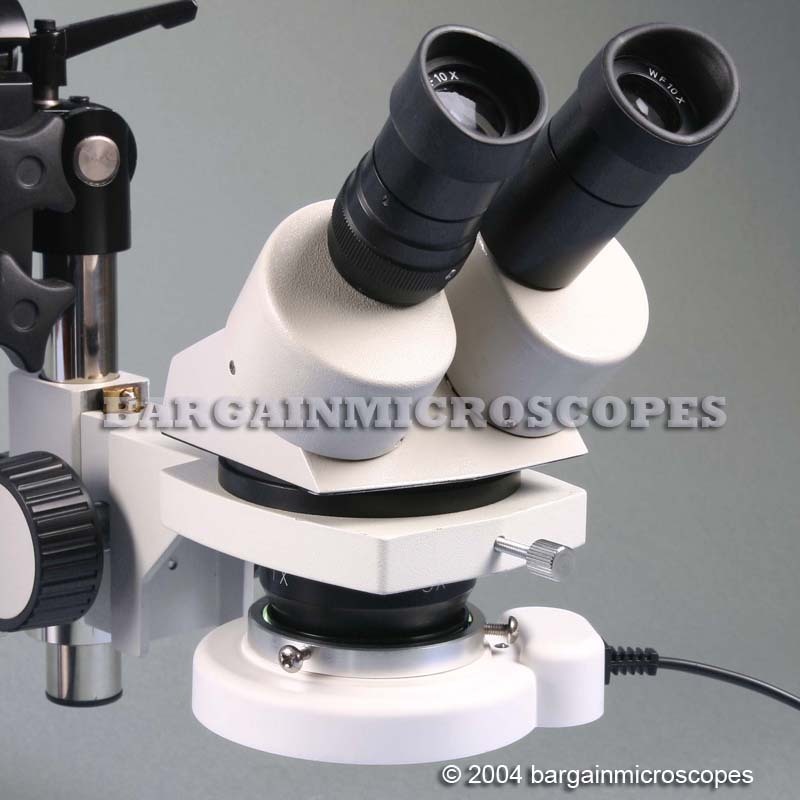 Eyepiece Set Included: 30mm Wide Field 10x. Bottom Lens Included: 0.5x. 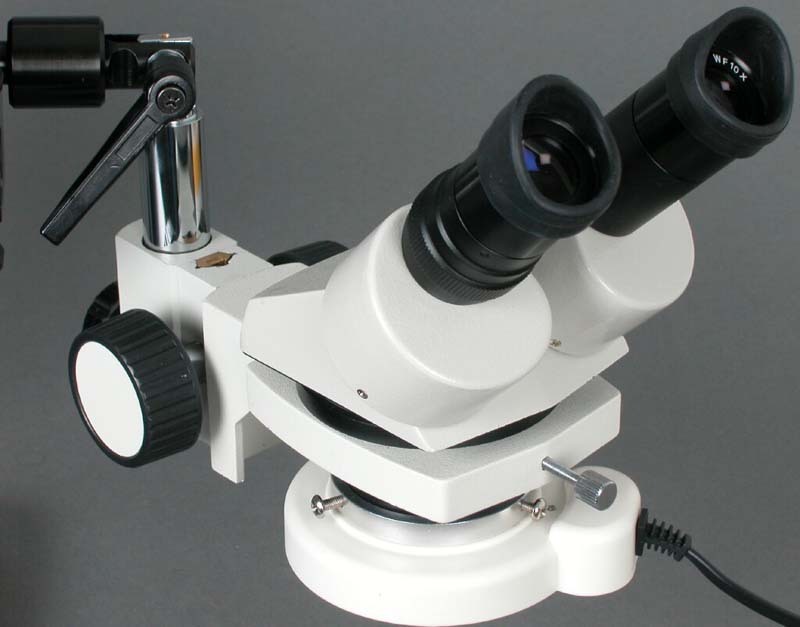 When present, this will approximately double the working distance as the scope head is elevated farther from the specimen when in focus. Includes Fluorescent Ring Light for Bright and Even Illumination. Spare ring fluorescent bulb is included. 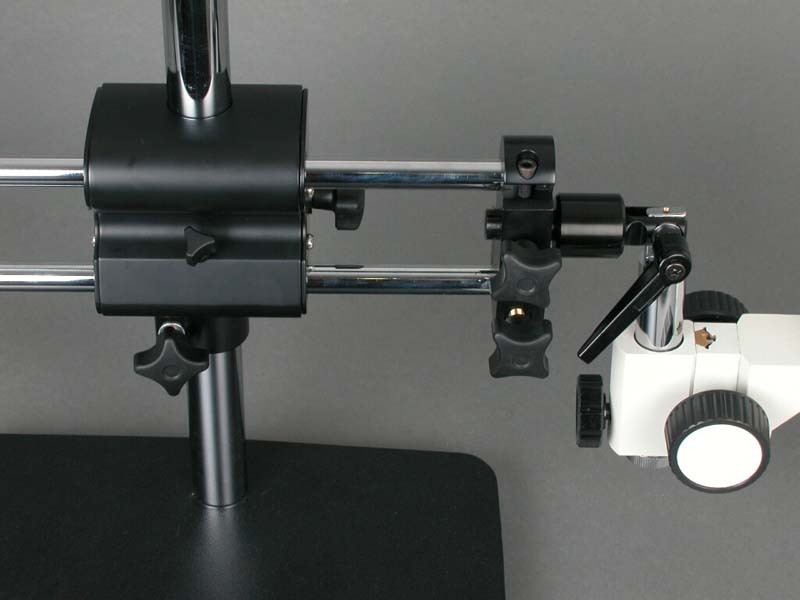 Easy Large-Sized Focusing Knobs on Both Sides of Focusing Holder. Nice Working Distance to Allow Room for Your Tools. 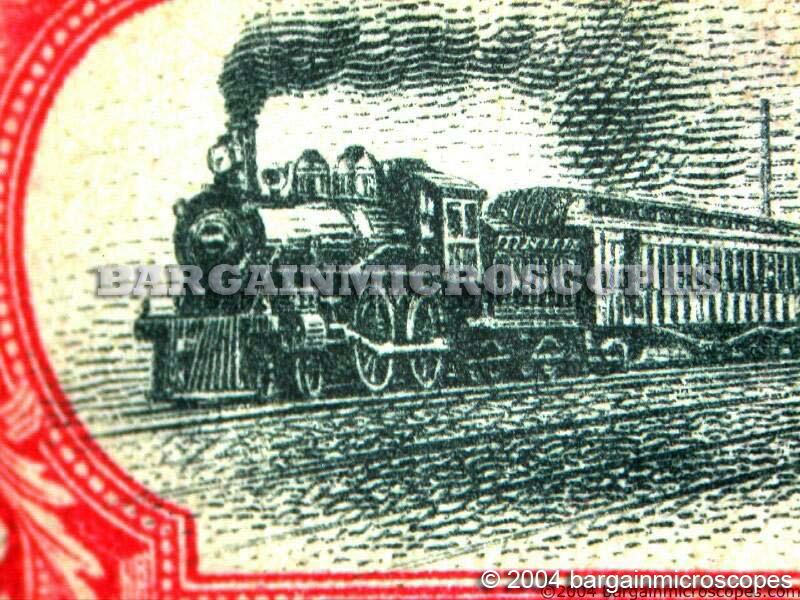 (Distance from Bottom of Lens on Head to Top of Object in Focus) 105mm – w/o Bottom Lens on, (225mm w/ Bottom Lens on). Solid Steel Boom Stand Base Plate. Shipping Weight of Boom Stand (no scope head) is 30 Lbs.